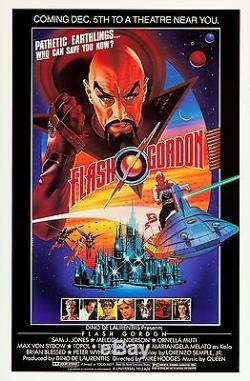 Jones, Melody Anderson, Max von Sydow, Chaim Topol. Original one-sheet style B movie poster. Size: 27 x 41 inches (68.58 cm x 104.14 cm). Condition: near mint-mint and unused. The item "FLASH GORDON (1980) ORIGINAL STYLE B MOVIE POSTER ROLLED LAWRENCE NOBLE ART" is in sale since Friday, March 31, 2017.